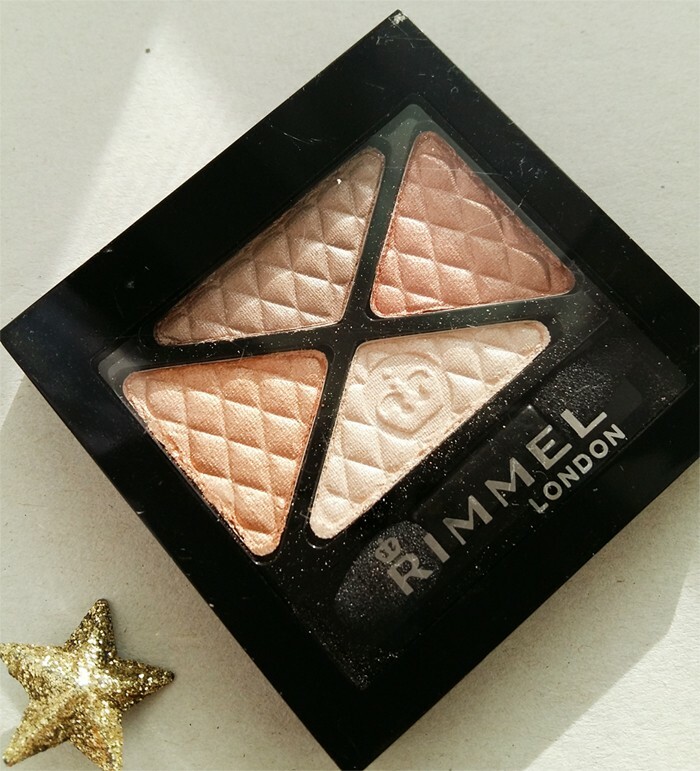 Rimmel Glam Eyes Quad Eye Shadow palettes are the perfect addition to any makeup bag! These vibrant eyeshadow kits feature 4 complimentary eyeshadow shades and a soft eyeshadow brush, so you can perfect your eye makeup anytime, anywhere. 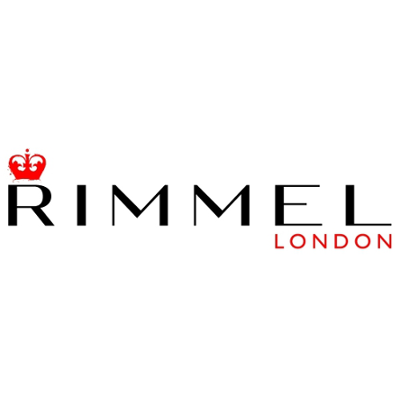 Update your look with these richly pigmented, subtly shimmered eyeshadows from Rimmel London. The soft, silky powder formula glides seamlessly across the eyelids, delivering a high impact colour that lasts for hours without creasing. These eyeshadows are gorgeous worn alone or can built up by blending multiple shades for a bold eye look. Glam Eyes is Rimmel’s most sophisticated eyeshadow to date, with its graphic, glossy black packaging that’s pure London chic. 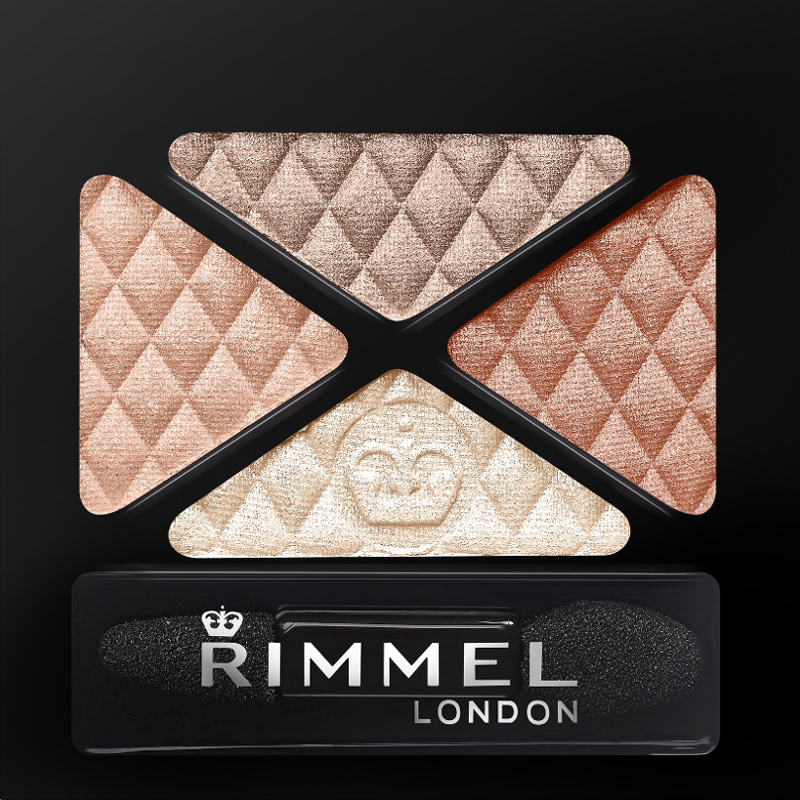 Inside, the eyeshadows are embossed with an elegant quilted pattern and the signature Rimmel crown logo. Mica, Talc, Dimethicone, Caprylic/ Capric Triglyceride, Magnesium Stearate, Polyethylene Terephthalate, Polyurethane-11, Synthetic Fluorphlogopite, Aloe Barbadensis Leaf Extract, Ethylhexyl Dimethyl Paba, Isopropylparaben, Butylparaben, Isobutylparaben, Tin Oxide. [May Contain/ Peut Contenir/+/-: Iron Oxides (CI 77499, CI 77492, CI 77491), Ferric Ferrocyanide (CI 77510), FD&amp;amp;C Blue No. 1 Aluminum Lake (CI 42090), FD&amp;amp;C Yellow No. 5 Aluminum Lake (CI 19140), Fd&amp;amp;C Red No. 40 Aluminum Lake (CI16035), Titanium Dioxide (CI 77891), Carmine (CI 75470), Manganese Violet (CI 77742), Ultramarines (CI 77007), Aluminum Powder (CI 77000)]. Ingredients: (Shade 024) Talc, Mica, Dipentaerythrityl Hexa C5-9 Acid Esters, Polyethylene, DI-PPG-3 Myristyl Ether Adipate, C12-15 Alkyl Benzoate, Zinc Stearate, Caprylyl Glycol, Silica Dimethyl Silylate, Boron Nitride, Silica, Tin Oxide. [May Contain /Peut Contenir/+/-: Titanium Dioxide (CI 77891), Iron Oxides (CI 77491, CI 77492, CI 77499), Bismuth Oxychloride (CI 77163), FD&amp;amp;C Yellow No. 5 Aluminum Lake (CI 19140), Manganese Violet (CI 77742), Aluminum Powder (CI 77000), Chromium Hydroxide Green (CI 77289), Ultramarines (CI 77007), FD&amp;amp;C Blue No. 1 Aluminum Lake (CI 42090), Carmine (CI 75470), Chromium Oxide Greens (CI 77288), Ferric Ferrocyanide (CI 77510), Aluminum Hydroxide (CI 77002)]. Ingredients: (Shade 025 - Limited Edition) Mica, Talc, Dimethicone, Caprylic/Capric Triglyceride, Magnesium Stearate, Acrylates Copolymer, Polyethylene Terephthalate, Synthetic Fluorphlogopite, Aloe Barbadensis Leaf Extract, Phenoxyethanol, Caprylyl Glycol, Tin Oxide. [May Contain/Peut Contenir/+/-: Titanium Dioxide (CI 77891), Carmine (CI 75470), FD&amp;amp;C Yellow No. 5 Aluminum Lake (CI 19140), Iron Oxides (CI 77491, CI 77492, CI 77499), Manganese Violet (CI 77742), Ultramarines. "cool design, barely any pigmentation"